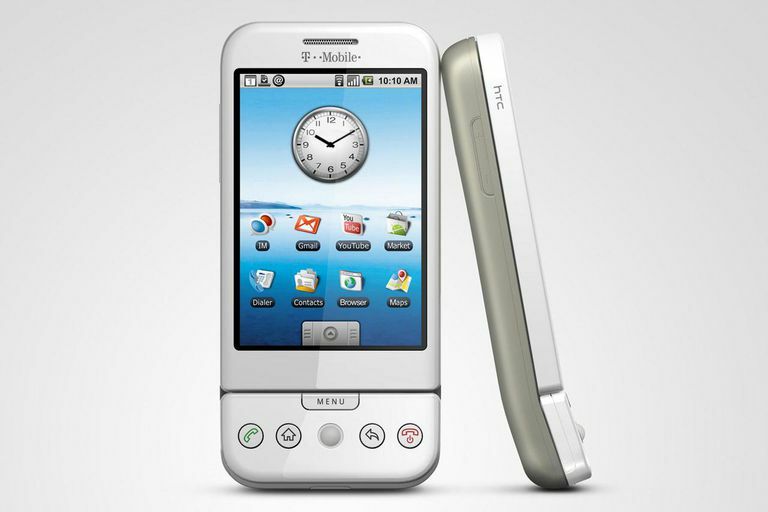 The T-Mobile G1, released in October 2008, was the first Android OS smartphone. It ran Android OS 1.0, which displayed a large clock on the lock screen, as did the subsequent G2 phones. If you still have an older device, you might want to know how to hide the clock on your Android phone. Instructions in this article apply to all phones and tablets running Android version 4.4 or earlier unless otherwise noted. Touch the clock with your finger and press down until you feel a light vibration and the clock turns red. Drag the clock to the trashcan icon that appears at the bottom of the screen. The clock was removed starting with Android 5.0 (Lollipop), so modern Android devices no longer come with the big clock taking up half the screen. If you have a later model Android OS phone that shows a clock on the screen, update to Android Lollipop or later to remove the clock. If the clock is still there after you upgrade, it is probably generated by an app downloaded from the Google Play Store. Delete the app to remove the clock. Older devices do not support the newest version of Android, but you can upgrade to the latest version your device supports. If you upgrade to a new phone and find that you miss the clock, you can download an app for that from Google Play. There are many free and low-cost clock apps available ranging from huge clocks that fill the entire screen to apps that include other features such as weather forecasts and alarms.